The Frontera Land Alliance Board of Directors wishes each of you a very joyous holiday season and a wonderful New Year! 1. 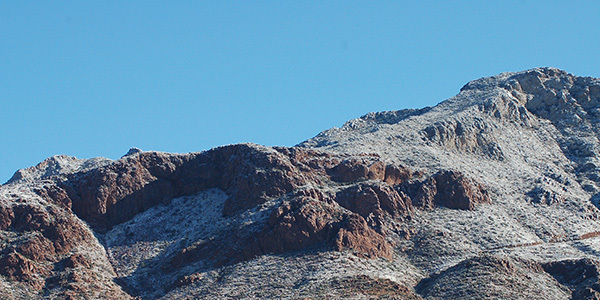 The “El Paso History Show” radio program interviewed The Frontera Land Alliance on November 29. Hear this show now from November 29, 2014. 2. We took Cynthia Cano and Ana González (Beto O’Rourke’s and Joe Moody’s district directors respectively) on a tour of Resler Canyon and Thunder Canyon to share the beauty, but of equal importance to show how they function in their natural state to safely channel the rains toward the Rio Grande, and lands that provide urban recreation opportunities for the general public. 3. Keep an eye open for the forthcoming Frontera winter newsletter—we have several updates! Volunteer Opportunities: 2015 is an exciting year! The Frontera Land Alliance is working to plan a variety of activities to get people out in their own “backyards.” To make each activity a success, Frontera needs to establish subcommittees to help plan each activity. Please take a look at the list of activities below and let me know where you may be able to help out or if you know of someone that would be a good fit. Frontera needs help to ensure that each activity is carried out with professionalism, is a whopping success, and is lots of fun for all concerned!!! 1. Resler Canyon Cookout: The cookout will be held during the annual Celebrate Our Mountains festivities of the fall of 2015, combined with a few guided hikes. 2. Thunder Canyon Cookout: Another fall 2015 Celebrate Our Mountains event, combined with a few guided hikes. 3. Social Dinner: Need to choose venue and time of year, spring/summer/fall, define objective of gathering. 4. Coordinator for volunteers at Resler Canyon: Coordinate and be the contact person for several workdays at Resler Canyon. Thank you for everything you do for the conservation of water, natural areas and wildlife!